Get a super-comfortable kneeling chair. 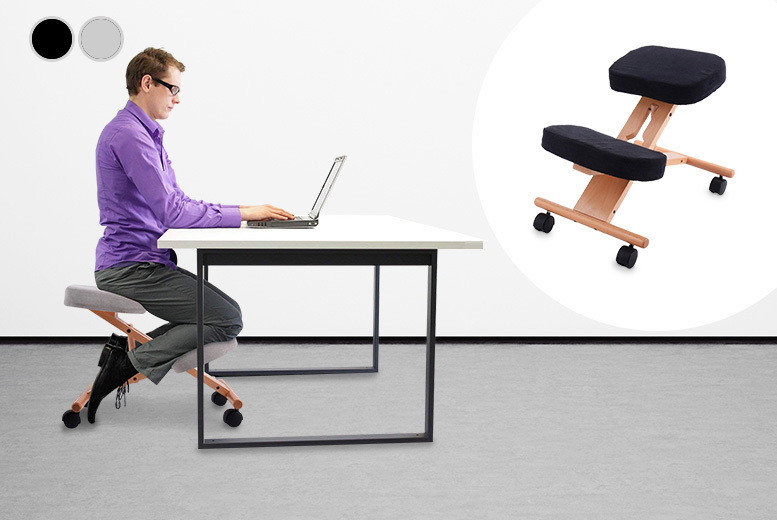 Featuring an ergonomic design to improve bad posture and avoid hunching at your desk. Sleek wooden design with black or grey fabric seat. Kneeling position encourages a healthier, natural position for your back, neck and spine. Use instead of your office chair for health benefits including improved breathing and blood circulation. Perfect for anyone who suffers with neck, shoulder or back pain from bad posture at work.